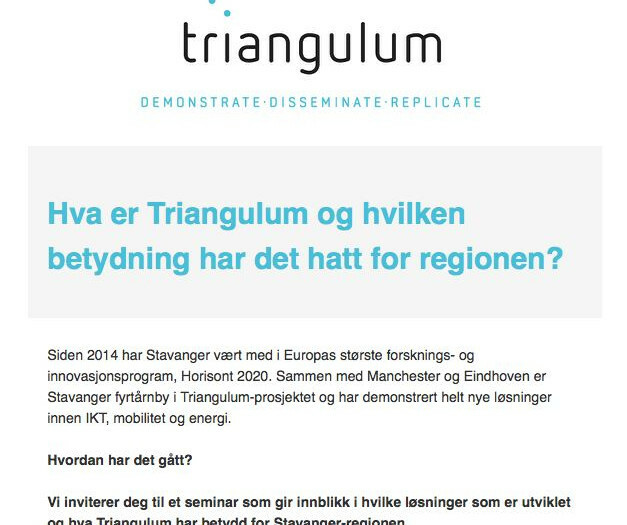 How does Triangulum affect the Stavanger region? 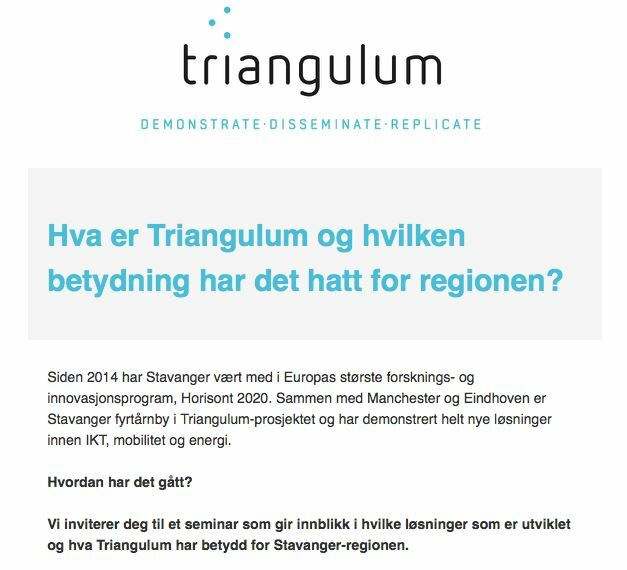 On 23 May, the communication group of Triangulum’s Lighthouse City Stavanger invites key stakeholders, politicians, partner employees and citizens to promote Triangulum project and its achievements. The goal of the event is to give insights into which innovative solutions have been developed and what significance they have for the Stavanger region. In the course of this event, a brand-new movie will be launched, together with the new website, highlighting the implications of the Triangulum project from a citizen’s point of view.